The Council continues to discuss possible priorities for 2016. After the last Work Meeting Council Members submitted priorities they were in favor of and added desired outcomes and performance indicators. The majority of today's Work Meeting was spent discussing eight of the priorities and urgency versus importance. Those eight were approved and the remaining items on the list will be discussed at the February 16 meeting. 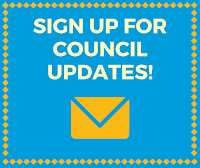 Once the Council has decided on its list of priorities the next steps will include clarifying how much falls under the Council's purview and how much is the City Administration's responsibility. Discussed a proposed resolution regarding the appropriation of funds for lighting and landscape improvements on 300 South. This is being formally heard at the February 2 meeting. Evaluated a Council rule regarding items moving from Planning Commission to the Work Meeting agenda and assigned it to the Rules Committee for more study. They will bring it back to a future Work Meeting with their recommendations. Kathryn Allen, Franklin Neighborhood Chair, spoke about Franklin encompassing the first permanently settled area in Utah County. The neighborhood is rich in local history and early architecture. 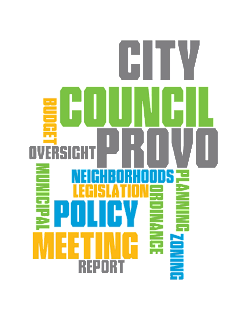 A public hearing was held regarding the adoption the Franklin Neighborhood Plan as a component of the Provo City General Plan. Several residents who spoke at the meeting had concerns about the impact on their properties. Council Members noted that there was some confusion about what the plans mean and how zone changes impact current property owners. This item was continued to allow the neighborhood to meet again to gain better understanding of the plan before it returns to the Council. Held a public hearing and approved an ordinance amending Section 14.34.290 to amend the South State Street Design Corridor (Spring Creek and Provost South Neighborhoods). Held a public hearing and approved an ordinance amending Section 14.29.150(3) Uses Conducted Within Buildings in the Planned Industrial Commercial Zone (Citywide).